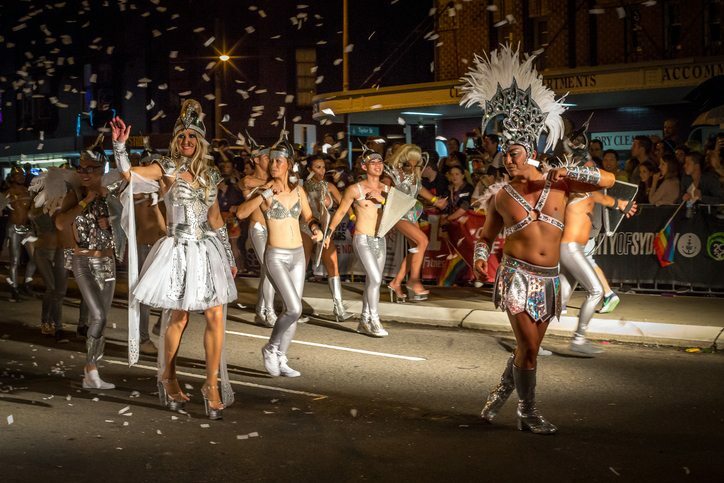 Mark Saturday 3 March in your calendar, because you won’t want to miss a second of the inclusive and dazzling Mardi Gras parade. Expect a passing parade of LGBTQI groups, awe-inspiring performers, drag queens and incredible floats cheered on by an exuberant crowd. There are VIP viewing experiences available at Taylor Square and Flinders Street, or you can simply stroll and soak up the atmosphere. Make your way to Victoria Park on Sunday the 18th of February for the annual Fair Day, which welcomes absolutely everyone for a free day of festivities. The whole family will love the dance tent, the sport activities and the tasty food on offer. Of course, the Doggywood competition steals the show every year as it celebrates the most fabulous of canine companions in creative costumes. The world-famous Mardi Gras party brings about 12,000 happy people to Moore Park for a celebration you will never forget and this year’s headliner is none other than Cher herself. Put on your sparkles, your spandex and your platform shoes, then dance until the sun comes up. Prepare to be delighted by theatrics, lightshows, entertainers and DJs all night long – as well as the colourful audience itself! As well as the huge events of Sydney’s Mardi Gras there is also a vast variety of art exhibitions, dance and theatrical performances plus workshops. Indulge in a drag cabaret, explore contemporary works at various galleries throughout the city or work on your self-defence with a workshop at GLMA. Full details can be found over at the Mardi Gras program. Looking for large group accommodation in Sydney? If you’re in town for Mardi Gras, you’ll want glamorous group accommodation to suit the celebrations. Meriton Suites offers premium serviced suites in Sydney’s CBD and surrounds, very close to Mardi Gras events in Parramatta, North Sydney and the city centre. Reserve direct for the best rates.